You must make reservations at least 5 minutes in advance of the time at Seaplane Kitchen + Bar. There is plentiful parking in both a public lot and on the street. Seaplane welcomes the opportunity to host and facilitate your special occasion, whether it be an intimate dinner, a wedding reception, or a corporate event. Our menus are designed with the guest and the season in mind. To inquire about booking an event or a reservation for 16 or more guests on our Mezzanine, please email elisabeth@seaplanekitchen.com. 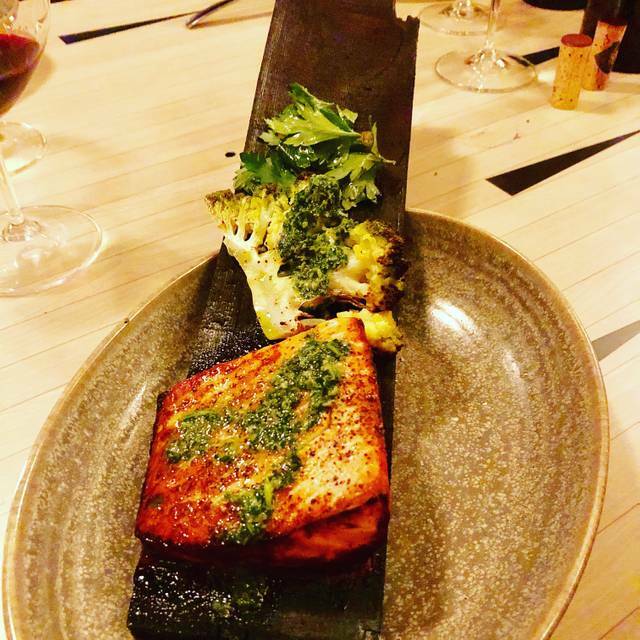 Opened in November 2018 in Kenmore, Wash. by local restaurateurs James Weimann and Deming Maclise, Seaplane Kitchen & Bar offers guests an approachable atmosphere perfect for drinks with friends, a family dinner, date night and everything in between. In the kitchen, Executive Chef and Co-owner Jason Stoneburner, serves up a menu centered around stone hearth pizzas, shareable roasted veggies, and Northwest fisheries and farms. The bar program, headed by Bastille and Stoneburner Bar Manager and Seaplane Co-owner Erik Carlson, features 14 drafts with a heavy tilt towards regional breweries and wineries, and food-friendly cocktails highlighting agricultural spirits and seasonal ingredients. Family dining available with toys, books, games, & a chalkboard for the kids. Seating options available throughout the restaurant and weather permitting the patio will be open. Overall, the brunch food was good. Seemed a little cool on arrival, but good flavor. Good coffee and refills not a problem! We love the Seaplane. The food is simple, fresh, and always really good. Thrilled that the north end of Lake Washington is getting more dining options. The pizza was GREAT! Rivals the best of them- thin, charred, flavorful. Salads need to be a little bigger or more developed. It was fine but doesn't match the quality of the pizza. Great vegetable sides. Go for it. Easy for family, noisier than I like but there are quieter areas. Great cocktails! Makes you care less about the noise!! Love Seaplane Kitchen! It is our new go to spot. The food is always good, affordable, and the service is great! Great ambiance! Family friendly, but great for date night or a large group. 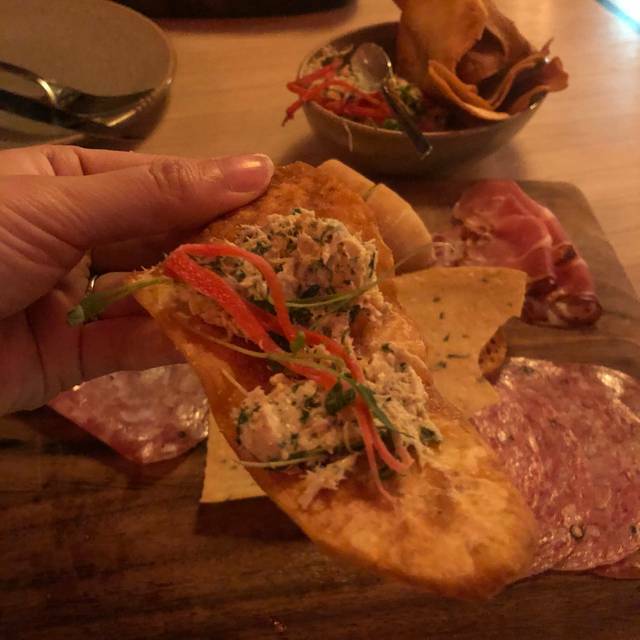 The wine and cocktail list is well balanced and the food was great! Try a unique pizza and definitely start with one of the veggies! Excellent food! Cool place with a great vibe in Kenmore! I have been several times, the menu has changed a bit, which keeps it interesting! Good happy hour. Great service. Glad I make reservations as it gets busy! Nice for Kenmore to have another place. Glad to have Guest House too! Great spot. Family friendly. A bit pricey but if you go with kids during happy hour time it’s a bit cheaper. Great food. Nice atmosphere and great brunch!! Would love to come for dinner soon. Oh my goodness, Kenmore has needed a place like this for a LONG time!! Great vibe, friendly staff, very cool interior, food menu. We had wings, fries, burgers and pizza among our table and all the food was great for the price. We’ll be back!! Love this place! Just don’t want it to get busier! Their pizzas are fantastic. It would be good to have a basic pizza for those who are not adventurous. Pizza was excellent, would recommend more lunch items rather than brunch items for Saturday. Finally! A nice new place in Kenmore for any occasion. We had to try the pizza and it did not disappoint. Also shared the "Kitchen Sink" salad, which had only a few veggies and somewhat strange tasting dressing. We were there on a Friday evening, the place as packed, and yet the service was friendly, efficient and timely. We'll be back to try the Gralic knots and something from the grill next time. Seaplane is a great new addition to Kenmore. It's always busy (Kenmore needed this restaurant) but service doesn't reflect that - meaning they are friendly, efficient, and observant despite the crowd. Overall, a very good restaurant for food and ambiance. Much of the food was fairly spicy, which I liked, but my wife not as much. We (6) were at a corner table near a window, so the ambiance was great. We were able to have great conversation with our meal. The servers were attentive and refilled our water regularly and checked on us frequently. It was a very good experience for all of us. Great food and amazing service! Will definitely be back very soon!! The food was very good. We tried two pizzas that were very different. The problem was the noise level. People were shouting that made the noise level very uncomfortable. The restaurant needs more sound buffers. A great idea and will be a great summer place. To get to your table you had to weave in and out of people and for being a big guy the was uncomfortable having to do that. Maybe a little wider menu would be nice. The Smoked salmon and sweet potato chips were the best. Salad was great didn't care so much for the meatballs. Enjoyed sharing the orders and the next time we come....and we will, we will go for the pizza. Also will bring our son and his family with us. I'd recommend it to any body....already have! Terrific place for dinner with friends. We were told when seated they encourage family style dining. Pizzas are big and great for that. Other dishes (pasta, brussel sprouts cauliflower) are very small. Chicken was very salty. So nice to have a new option on Kenmore-- will definitely be back. We ordered small bites and entrees to share family style & it was an enjoyable and tasty experience. 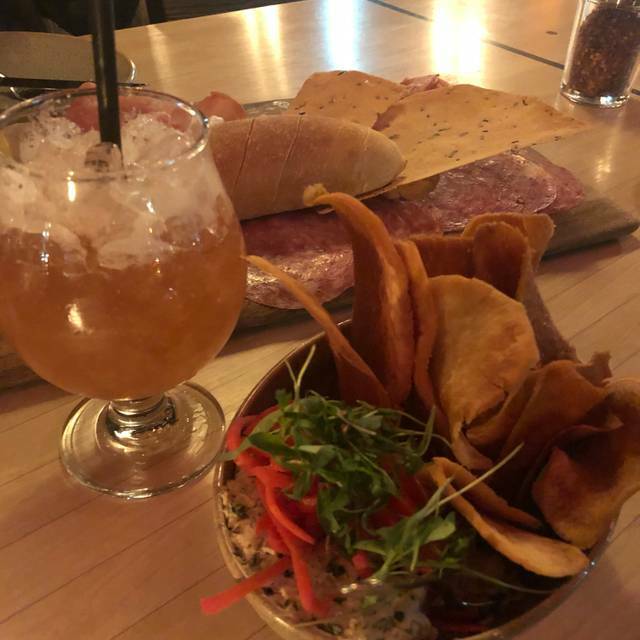 Favorites include the sidecar cocktail, garlic knots, tuna appetizer and do your ladled a favor with the charcuterie platter! 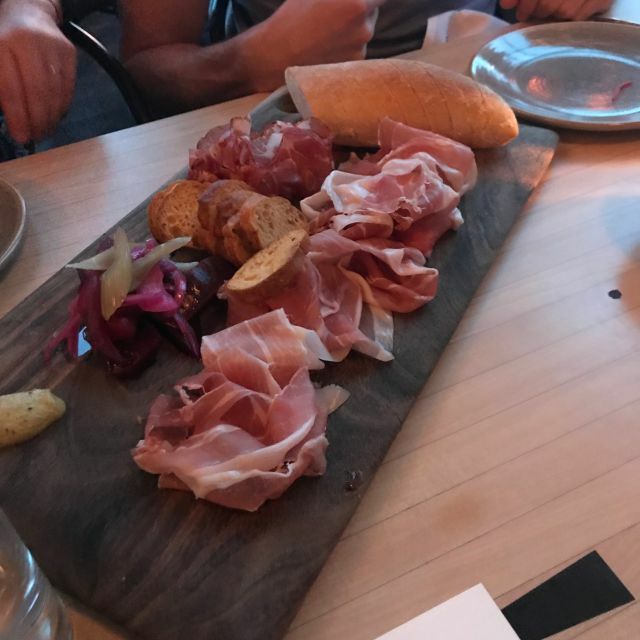 It was extremely noisy - food was good and service was excellent - but the atmosphere did not make for a comfortable dinner as you could not hear each other at your table. I installed the gas to this building and waiting months to finally try. Been waiting to try it. Staff was very friendly. Excellent for any occasion. Even large area for birthday/ banquet upstairs. Every item we ordered from appetizers through entree was excellent. Service was perfect! ambience was great! We will be back! Great to have you in the neighborhood. Great food and ambiance. Will recommend it to my friends. Beautiful interesting space with good food and the wait staff are great! First time visit. The service was very prompt and friendly. I gave the food a 4 because I think with a few tweaks it will be solid 4. The shaved Brussel Sprout and Arugula salad was good, just needed some creaminess to round it out. We liked the blistered carrots; nicely seasoned and not overdone. The Margarita pizza was good but not outstanding; maybe more zip in the sauce. It is a fun environment and the service made it a satisfactory visit. Oh yes, save room for the salted chocolate chip cookie, that was outstanding! The waitress was loud and clothes were sloppy. Way too noisy. food was ok. Absolutely loved our experience at Seaplane for dinner. We we're late for our reservation but still they treated us kindly and got us seated quickly. The food was exceptional and service was, too. We cannot wait to go back and try the happy hour menu and brunch. Ambiance was fantastic, service poor, food not great. Not sure what the hype was all about. Was looking forward to trying but overall disappointed. Won’t be back. Back at the Sea Plane again, we live in the neighborhood. 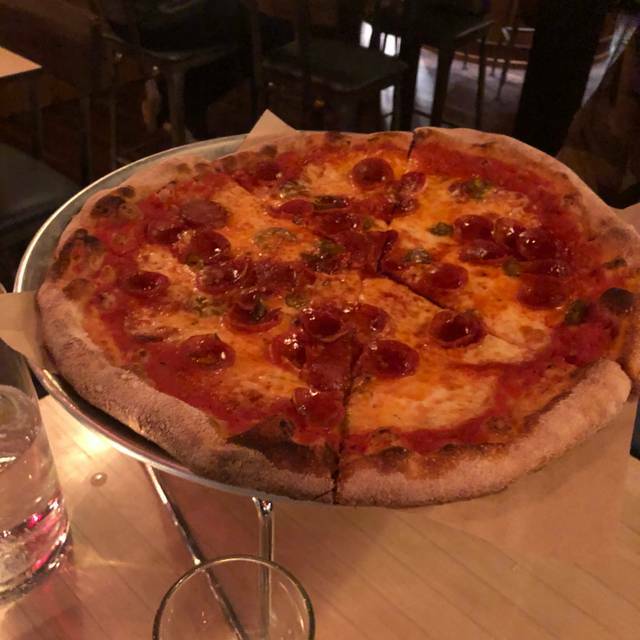 I had the Hanger Pizza, very good. We seem to always get the chicken wings for apps, very spicy. Rigatoni was excellent, al dente. Definitely have not had everything on the menu I want to try. We will go back! Food was fantastic, service was on point. We had a family dinner and it was perfect. Seaplane was really fun. It had fun decor, the menu was themed which was cute. They’re very busy, so even with a reservation we still had to wait for our table. The food was good. Not great. The garlic knots were amazing, however. The pizza was fine. The beet salad was insanely spicey, which was not indicated on the menu and we hardly ate any of it because it had so much pepper on it. For Kenmore, it’s a great restaurant. So delicious in every way. Loved the garlic knots and anchovy pizza. Great place for Happy Hour. Service was attentive and personal. Appetizers were unique and delicious. Pizza was the only hiccup. 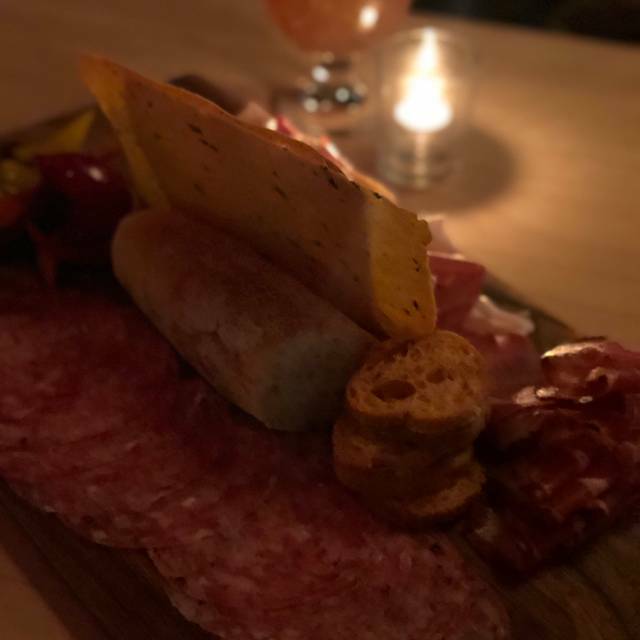 The crust was great but the salami was very salty. I have heard this from others who have tried the same pizza. The noise level was also loud so we may choose another place in the future, conversation with our table mates was difficult. Food was delicious and ambiance was great! Our server was very friendly & helpful & knowledgeable w/ menu options. We found the aviation theme intriguing but found the menu items outside the norm and expensive. These new restaurants need to understand that pizza choices shouldn’t be so unusual that one has difficulty finding one pie that is more traditional. Although tasty, it’s strange to have the server pour a cheese sauce over the pizza as the last step at the table. What happened to having the cheese step earlier and not poured. Lastly, it was so noisy that table mates had to speak louder to be heard. Not sure I would recommend to others or return myself. I have been to Seaplane 5-6 times. Bar is good. Ambiance and design of restaurant is lovely. I like the atmosphere. The food always is disappointing. Few choices, they push pizzas but who wants pizza all the time. The servers recommend but is nothing special in the food department. I hope they expand menu and get better choices.